You'll pat yourself on the back when you see your increased margins. It's a no brainer - lower costs = higher profits. 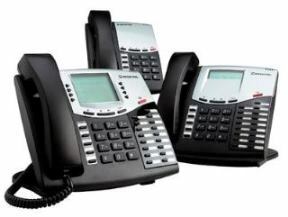 The new generation of PBX phone systems, or "call tree" systems, are internet based and only cost a fraction of traditional phone systems, and the good ones are just as reliable. The PBX providers below can provide you all these features and more. You'll be surprised how easy it is. Click below to learn more . . .